Turmeric is special type of medicine, which contains divine properties. In Hindu religion, turmeric is considered as auspicious and beneficial. It not only increases the taste of food but also gives prosperity in life. Turmeric removes poison and negative energy from the body. Therefore, it is used in Havan and medicines. There are several types of turmeric. Based on these colors it relate with planets. Turmeric has yellow, orange and black color. Yellow turmeric relates with Jupiter. Orange relates with Mars and Black relates with Shani. In astrology, yellow turmeric is used to strengthen Jupiter and to get rid of problems. 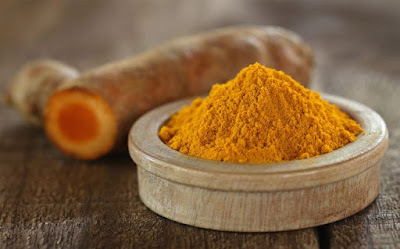 Balanced use of turmeric in food keeps you away from diseases. Women can get rid of marital problems if they offer water, mixing turmeric, to Sun. Turmeric seeds are useful in stomach problems and cancer. One can do turmeric tilak every day morning after having bath. It gives speech power to the person. It also increases pious. Intelligence and knowledge increase by chanting mantra with turmeric rosary. You can rub the turmeric and apply it on your body before taking bath. It increases glow of the body. You won’t get effect of black magic or negative energy.